Today I had one of those “Thank God for the Internet!” moments. 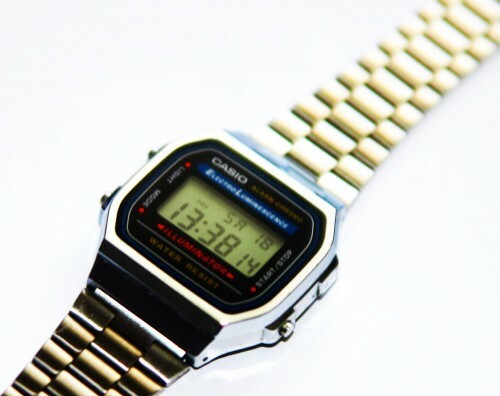 Maxim, while going through his pile of toys, found my old Casio watch. Surprisingly, the battery was still running, the time was accurate, and even the display light was working. He played with the watch for a few minutes, clicking all buttons, checking the light in the dark, and doing all sorts of things kids do to old watches. Nobody knows how, but he managed to setup an hourly time signal. It’s that annoying little beep that sounds every hour on the hour. Needless to say, the user interface is far from perfect and it is practically impossible to figure it out without a manual. So here comes my “Thank God for the Internet!” moment. 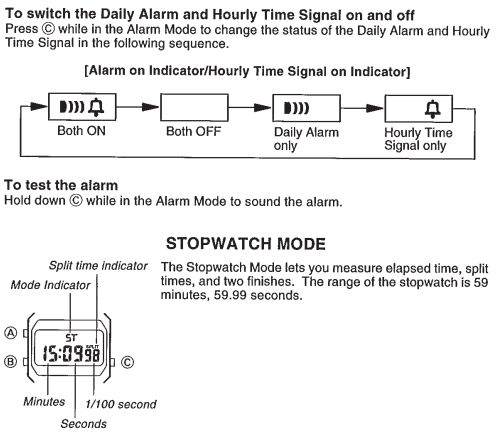 The manuals are online and the instructions to disable Hourly Time Signal are straight forward. I’m posting them here in case my grandkids will find this watch and the battery will still be going.